Villaviciosa, a name that means something like “the fertile home”, is a small place in the very North of Spain, in the autonomy of Asturias. The people have adapted to their surroundings; it might be fertile, but only hard work would allow one to reap the benefits of the land and sea. It has also been a disputed territory and suffered invasions by the French and it always got the attention from Spain’s dictators. The Maliayos (from an earlier name of the place), as any Asturians are tough people, people that appreciate order and loyalty. It is maybe not a coincidence that it has fostered a 10-time marathon world champion and several rowing champions. The latter a sport where individual sacrifice and solidarity with the team is paramount to achieve success. Discipline. In this environment, Marcelino Garcia Toral was brought into that world in August 1965. He looks more or less like he did back when he ended his career. The hair is the same, so is the weight. His stature is impeccable, he is angular and there is not a single gram of fat on his body. Surely a warning for anyone who is to submit under his rigorous training regime, where every 100 grams of extra weight above the ideal is punished with a 1500 euro fine. Valencia in the last few years have been as far from the “Marcelinean ideal” as you could possibly come. Lack of discipline, players thinking more on themselves than the team and a club without structure to succeed. Therefore, he chose precisely these topics on his presentation; [We want to achieve] “Stability and good institutional performance”. 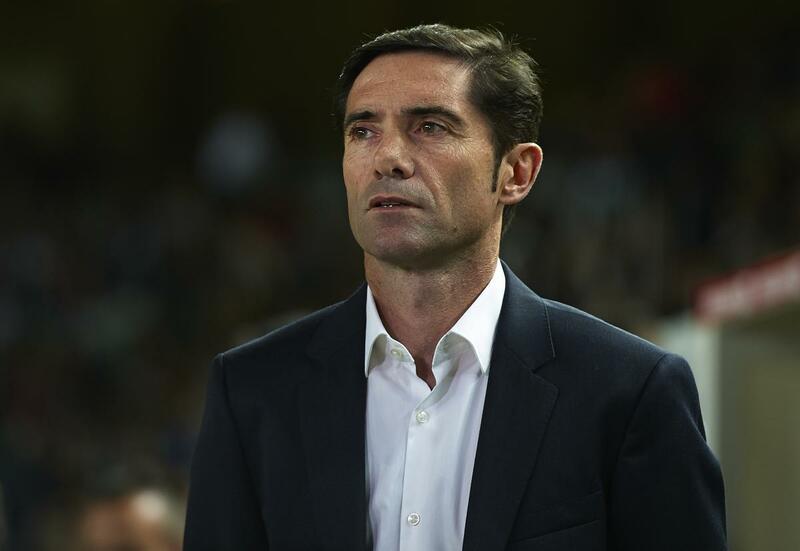 Marcelino promoted the same values that he acquired while at Sporting de Gijón. One of his most important mentors, José Manuel Novoa, showed him the way by building a team based on work ethic and effort. “Individuality will never weigh more than the collective and no footballer is essential if he is not part of the team”, he underlined, adding immediately the essential values that should govern the team: demand, humility, commitment, solidarity and ambition. Marcelino, embodies what Valencia fans have wanted for a long time; a club that is honest in its work, united as a team, proud of its achievements and demanding of itself.